To celebrate the release of The Legend of Zelda: Breath of the Wild, I’m taking a look back at the games I love. Here is my (loose) ranking of The Legend of Zelda series in its entirety. Nearly. The Zelda faithful will defend this odd one out. You can get a lot out of Zelda II, they say. Stick with it, they whisper, just give it a chance! But why did Nintendo turn the first sequel into a sidescroller? Why is the gameplay so repetitive, and the random encounters so utterly unforgiving? I realize the game has its defenders, but I checked out early. Highlight – the music remains epic, despite the limitations of an 8-bit console. If you weren’t a fan of the sailing in The Wind Waker, you might get on better with Phantom Hourglass. Sailing here makes use of the DS’ stylus and touch screen, an intuitive system which allows you to easily plot your course and let your steamboat do the work. The stylus also works surprisingly well for direct play, with short swipes translating to Link’s sword attacks. More controversial was the Temple of the Ocean King, a different take on the traditional dungeon mechanic that incorporates time limits, stealth, and near-invincible bad guys that can wipe out Link with one hit. Also – you had to revisit the dungeon multiple times. Many Zelda fans hated this approach; others found it a welcome challenge. For me, this and Phantom Hourglass’ other dungeons were solidly put together, if somewhat forgettable. And while Nintendo’s control innovations are usually welcome, shouting into the DS’ microphone is not a good choice when you’re in an airport. Highlight – drawing routes for your steamboat and marking islands and secrets for further exploration with the DS stylus was a perfect blend of old-school mapmaking and innovative technology. Just because it’s ranked this low doesn’t mean that I disliked Skyward Sword. The dungeon design was clever throughout (see the Ancient Cistern for a wonderful water temple challenge). Nintendo’s imagination is on full display with the Lanayru Sand Sea sailing section – a “timeshift stone” mounted on your boat transforms a desert in the present into a beautiful lake in the past. Also, the new Wii MotionPlus controls were put to good use. And the impressionistic art style makes this one of the prettiest Zelda games. And yet… there’s no denying that Skyward Sword takes an achingly slow amount of time to start. The handholding feels constrictive – despite appearing like an open world, Skyward Sword funnels you through stifling linear segments. There’s an unfunny companion. There’s frustrating Silent Realms. Flying on your Loftwing should have provided a sense of freedom, but those floating islands in the sky yielded no surprises. And The Imprisoned… how many times did I need to battle The Imprisoned? Nintendo looks to have completely reversed course with the open world Breath of the Wild. 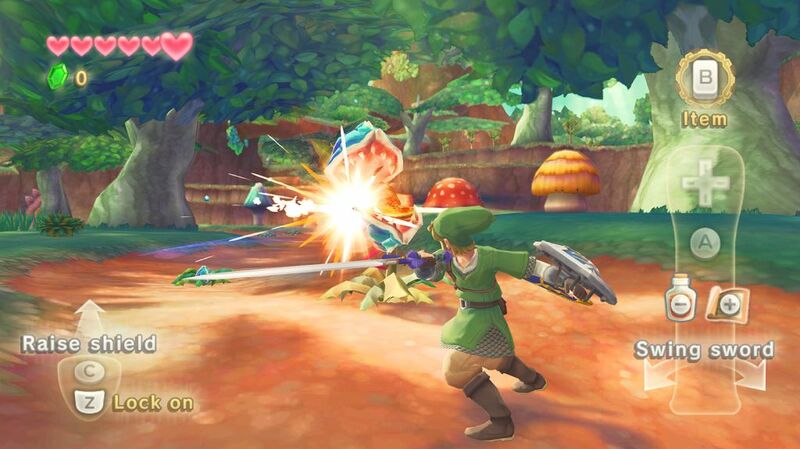 As for Skyward Sword – the colors are vibrant, but dungeons aside, the game was a bit dull. Highlight – the precision of the new Wii MotionPlus controls were expertly built into traditional Zelda gameplay – it felt genuinely innovative to use your motion-controlled sword to flip a Skulltula onto its back. Not until after I’d completed Twilight Princess did I find out why the Wii version felt wonky. To accommodate the motion controls – and the greater proportion of right-handed players – southpaw Link had to switch his sword from his left hand, and rather than alter his animations from the GameCube version, Nintendo mirrored the entire game. So if, like me, you were confused why Lake Hylia and Gerudo Desert were in the east, not the west, now you know. And while the return of the “realistic” art style of Ocarina of Time was a concession to fans left cold by the cel-shaded visuals of The Wind Waker, the graphics for Twilight Princess appear washed out. Still, there is excellent music (Midna’s Lament is a highlight). Dungeons are well-designed. Plus you get to be a wolf. All decent enough, but Twilight Princess remains a bloated Ocarina of Time remake – Hyrule feels twice as large and half as interactive as that of the 1998 classic. Twilight Princess reminds us that bigger worlds are not always better, folks. Highlight – Regarded as one of the best dungeons in the series, the chilly Snowpeak Ruins works in a warm story about a cute Yeti taking caring of his ill wife. Going back to the game that started it all, one thing stands out – this is no rough first draft. All the Zelda elements are fully formed here: the open overworld structure and dungeon design, the secrets and items, the puzzles and boss battles. The Legend of Zelda remains surprisingly playable today – and even clearer now that this game was far ahead of its contemporaries from the mid-1980s. My only issue with The Legend of Zelda? The inability to move diagonally! Highlight – the expansive overworld and sense of exploration defined the original, creating a template that every subsequent Zelda – and countless other games – have emulated. 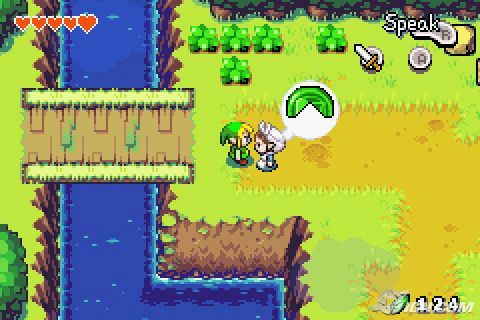 The Minish Cap builds on The Legend of Zelda’s tradition of design mechanics that revolve around manipulating the environment – light/dark worlds, travel between past and present, or transforming into other forms such as a wolf. In The Minish Cap, the hook is size – through Ezlo, a sarcastic talking hat (bear with me! ), Link can shrink to tiny size, bringing you in contact with the cheery Picori, and seeing the world from a different perspective. 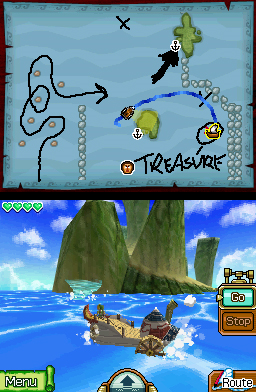 A cute and clever hook was complemented by The Wind Waker’s cartoon aesthetic, an art style perfectly suited to the Game Boy Advance. Highlight – Throughout the game Kinstone pieces can be collected and fused with others held by the Picori, unlocking further special items. In a series packed with secrets, The Minish Cap’s Kinstones are especially compelling. Whilst these are ranked low, they are still excellent games (I note that you pointed that out). Zelda on a bad day is better than the majority of others at their best! Agree with you both! Even though I have Phantom Hourglass and Skyward Sword towards the bottom, I did still enjoy both games, despite their flaws. Nice list. Very different from my own – I loved Zelda II and Skyward Sword, for instance. Still, looking forward to your follow-up post(s?) – interested to see what gets the top spot! This is a cheeky question, but is Four Swords Adventures going to appear later on or do you feel it’s not rank-able…? Just curious because Adventures would be very high up on my list as a two player experience, but I’m not sure how I’d feel if I soloed it. Thanks! I’ll have the second part soon(ish)! It’s a tricky thing to rank these games. Even though Skyward Sword is ranked low, I really enjoyed most of the game, and the dungeons were well-designed. I only played Four Swords Adventures once, in single-player mode, so I feel like I can’t rank it! I’m sure that it would be high up on the list if I’d had the full multiplayer experience. I solo’d Four Swords last year and it was pretty fun, but nowhere near as fun as I’d imagine as playing with a buddy or three. It’s very possible to solo though, as it’s designed to be for 1-4 players. Triforce Heroes, on the other hand… yeah. You ain’t soloing that without a handful of percocets to offset the mental agony! I absolutely love Four Swords Adventures (not tried Triforce Heroes, alas) but it tends to get forgotten about, so it’s always gratifying to hear other people’s experiences with this wonderful game. I would think the biggest problem playing solo is not being able to multi-task and the pace slowing down as a result. Being able to tell a partner “you go left and do this” while you do something else moves the game along at a fast pace most of the time, and sadly solo players will miss that. Still, glad you had fun with it regardless! 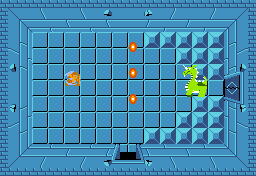 Aw, I really love Zelda II… but I can understand why some people just don’t like that game. I’m right there with you for Skyward Sword – great dungeons, but probably not one of my favorite ones. But I’m always surprised when Twilight Princess is ranked low. Yes, the mirror-image thing was a little weird, but I thought it was a solid title with an interesting story (and a not-annoying companion haha), even though it was a little “dark” for a Zelda title… But I agree with iplayedthegame (and you), that a bad Zelda game is still an overall good game 🙂 Looking forward to part two!! I struggled with where to put Twilight Princess! Despite the strange decision to mirror image the Wii version, I did enjoy this one – and I liked Midna as well. I just felt it was padded out, and went on a bit too long. I may go back and try the GameCube version in the future. I totally understand! I’ve been playing games like Fallout 3, Red Dead Redemption in recent months – if I went back to Twilight Princess now I’d probably see it very differently. 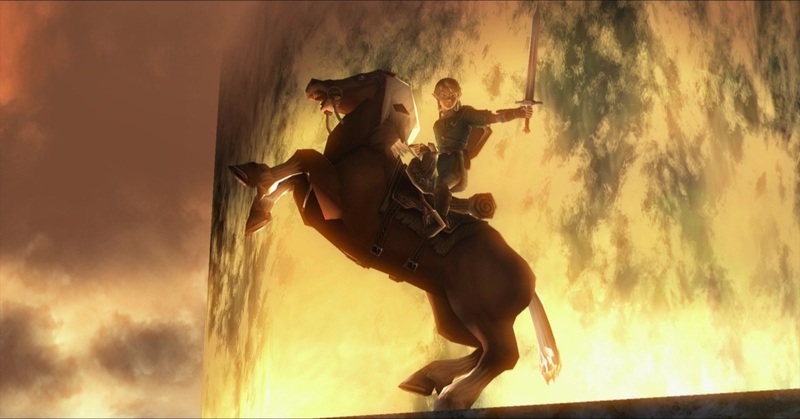 Twilight Princess was such an incredible experience for me – and I only played it on the Gamecube, on an HD TV (so with crappy, blurry graphics). I’d love to replay an HD version one of these days but I kinda like my nostalgia of the game and almost don’t want to tarnish it with fancy graphics! Right? But from what I’ve seen it looks absolutely stunning, so it might be worth it! 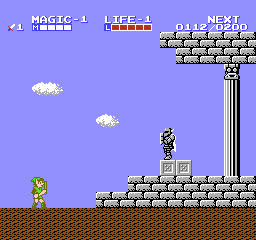 Zelda II was a definite deviation from the norm (Nintendo seems to like that in its second games e.g. SMB 2). I enjoyed watching it and Phantom Hourglass, and I kind of liked the Temple and how you’d go deeper in each time. Phantom and Spirit Tracks get some flak, but I at least enjoyed watching them. Can’t wait to see what your top Zeldas are! I did quite like Phantom Hourglass, I just didn’t find it as memorable as some of the other handheld Zeldas. And I definitely still need to check out Spirit Tracks! Thanks for posting! I went looking for Spirit Tracks and didn’t know that PH was the direct prequel to it. I think they’re both cute, but agreed, not as memorable as the others. I’m not sure why ST gets the hate it does. Maybe because it has modern technology (a train) as its core mode of transportation? I’m not sure. I liked how Zelda was more than just a princess to be rescued in it. She had a very important role! I just replied a similar comment regarding why I couldn’t stand Spirit Tracks, however, I think what grinded my gears the most was how you spend most of your time sitting on a train going alllll the way across the map, only to reach some trivial “problem” that needed to be solved by turning around and going alllll the way back, getting an item, and then once again trekking back. Eventually I just took out the cart without saving the game, calmly put it back in the case, and poured myself a tall glass of whiskey. Well THAT’S a fantastic use of words in talking about Spirit Tracks “grinded my gears.” Love it. The fetch quests did seem annoying. There were those archway shortcuts, but I remember watching the LPer do one involving ice, and if you didn’t get there in time, it would melt. Then if you have a passenger, you had to make sure to keep them happy. I do like how Zelda is willing to try out new gameplay dynamics with each new iteration, so even if you don’t like the one for the latest game, you know they’ll probably switch it up later. That’s true – they have tried lots of different things over the years, and as one of my favorite sayings goes, “they can’t all be zingers.” For both games I did not enjoy, there are at least 6 that I did! If you didn’t really like Phantom Hourglass, I can’t recommend Spirit Tracks! That’s the only Zelda game I have tried on many occasions to enjoy and just couldn’t do it. Phantom Hourglass was OK for one playthrough – Spirit Tracks drove me up the wall with frustrating fetch quests seemingly intended just to prolong the game. I’m the biggest Zelda fanboy out there and me saying this takes a lot of frustration! I will say, you should play the game if you REALLY like trains. Nice list so far! I’m already completely with you for your low ranking of Phantom Hourglass. Although I enjoyed Spirit Tracks, the weak world and dungeon design combined with the Temple of the Ocean King, made it hard to enjoy. Looking forward to Part 2! Thank you! And I’m going to have to check out Spirit Tracks. I keep hearing good things about it. What did you think of the whole train design hook for the overworld? Didn’t like the train that much, but I liked it better than Phantom Hourglass’ boat. What I liked most about Spirit Tracks were the difficulty of the main dungeon, which is like an improved version of the Tower of the Ocean King, except you don’t have to repeat the same parts over and over. There’s a co-op puzzle system where you control two characters to solve puzzles, and I found them pretty difficult and ingenious. Puzzles are my favorite parts of Zelda games, so you may see why I’d like that. Personally, I think the Gameboy ones are my favorites. They were just _packed_ full of secrets, leaving any stone unturned would mean you missed something. It’s like easter egg central. And Oracle of Seasons was simply a beautiful and stunning game. Thanks! And I like your approach of avoiding the Zeldas you didn’t enjoy. There’s no point in playing on if it’s not your cup of tea. I’ll get to the Game Boy Zeldas soon – they’re further up the rankings! I loved Link to the Past. Great post!